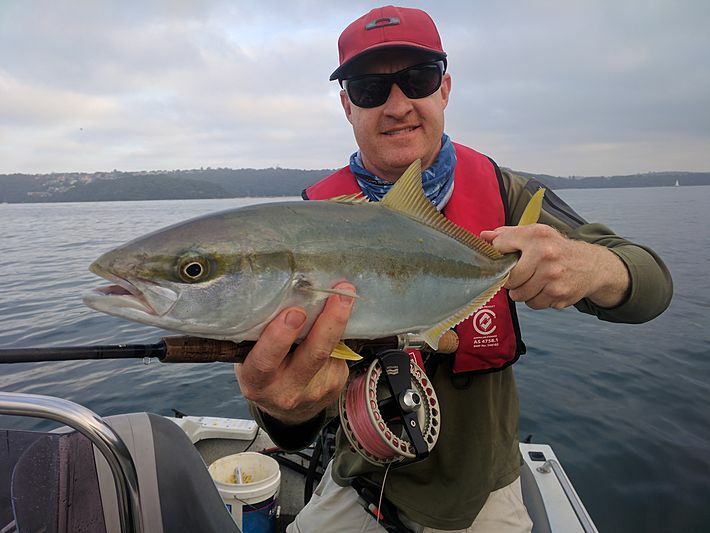 Sydney Flyfishing Tours: Flyfishing In Sydney and Beyond - Options for tomorrow? Posted on 23/01/2018 at 04:22 PM. Posted on 23/01/2018 at 07:53 PM. Posted on 24/01/2018 at 01:53 PM. Sorry Tim, didn�t see your message until today. We were out this morning. I�ve PM ed you my details for future reference. There were no secrets today. Kings, bonnies and tailor on top. 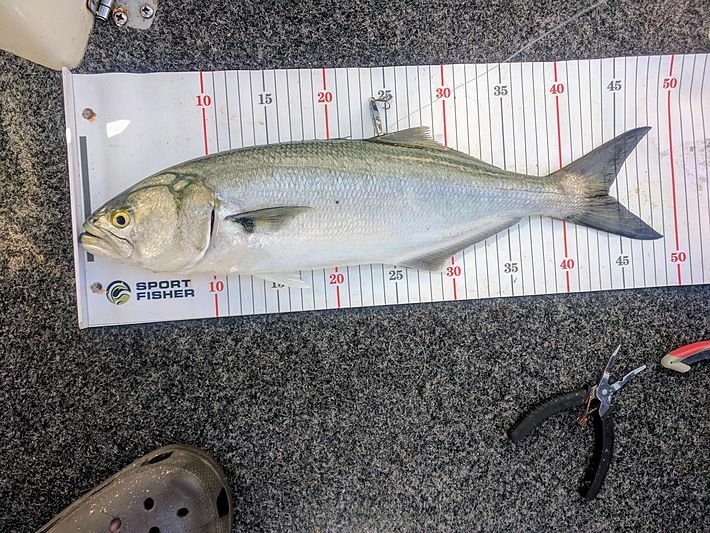 The bonnies wanted it stripped in real fast - slugs out fished fly here. The trick was to fish deep under the bust ups even after they were finished. Big candies down deep got kings and bonnies. Posted on 24/01/2018 at 02:53 PM. Posted on 24/01/2018 at 08:46 PM. Posted on 24/01/2018 at 08:49 PM.